I love a pdf sewing pattern, the joy is so instant. Browse, click, buy, download. The only frustrating thing of course, is that you have to assemble all the pattern pages before you can start sewing. Up there with pre-washing fabric! In the USA there is the wonderful option of printing out your patterns at the ‘local copy shop’ all on one big piece of paper but it’s not quite so commonplace here in the UK. We can pop to Staples (or our our local copy store) but they seem to be few and far between and no matter where you live copy shops aren’t open in the wee hours when the need to sew strikes! So, first up you’ll need access to a printer. Depending on the pattern you are using you might be ok with a mono (just black ink) printer, a laser is best as it’s the cheapest option by a long shot. Some patterns however may have coloured lines for each of the sizes so in this case a colour printer is a must or you will drive yourself quite batty. In either case consider printing in draft mode, it uses a lot less ink and prints a lot faster. Make sure that you open your pdf file via Adobe Acrobat Reader. It’s a free piece of software so there are no excuses for not having the latest version. Don’t open and print your file from an internet browser window. For some reason some browsers can do funny things to pattern pieces. Don’t ask me how, it’s trickery! 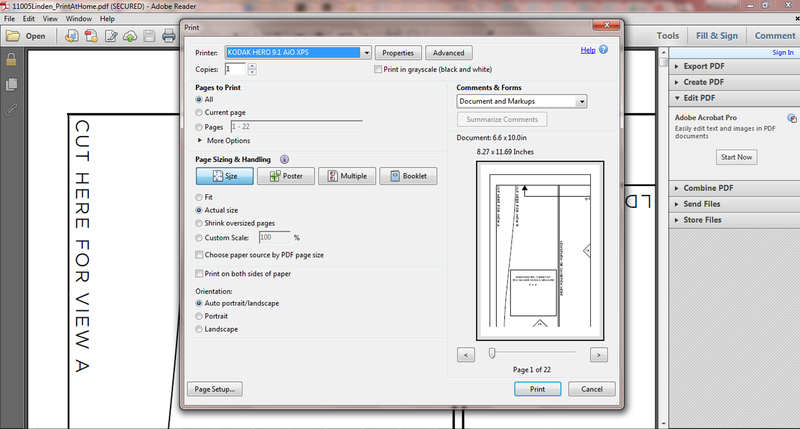 Make sure that you print your pattern pages in ‘Actual Size’….don’t ‘fit to page’ or ‘scale’ your pages to anything other than 100%. Any pattern worth the salt should have a test square. What’s a test square? 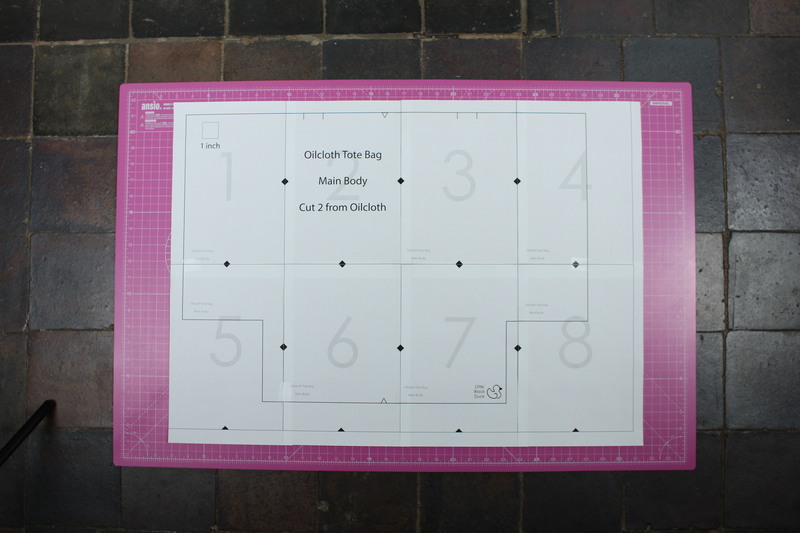 I hear you ask….well, a test square is a square that helps you check that you are printing out your pattern correctly. 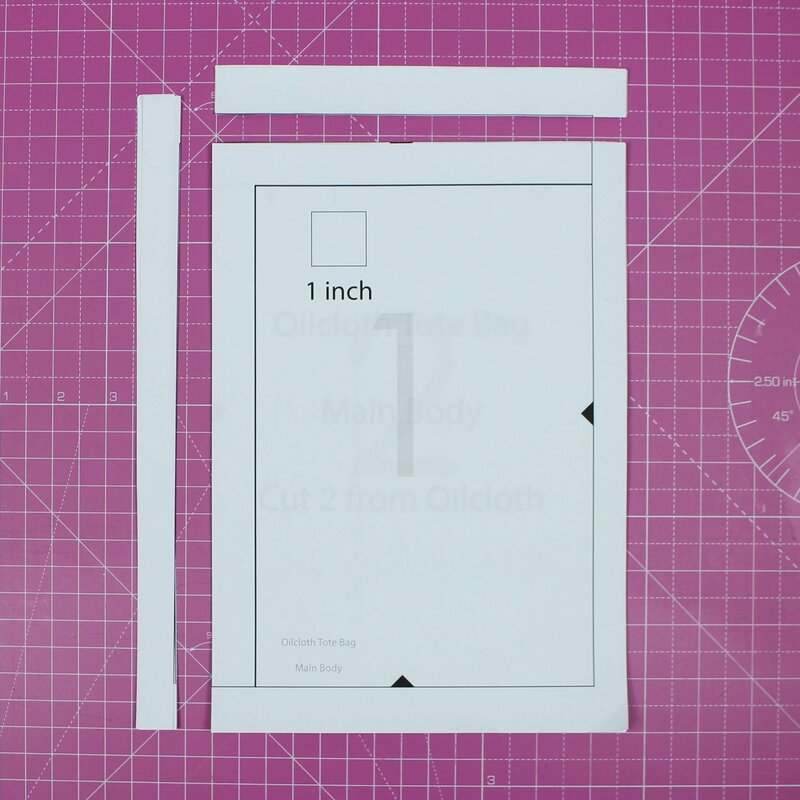 The square is most commonly a 1″ or 4″ square placed somewhere (ideally) on the first page of the document. 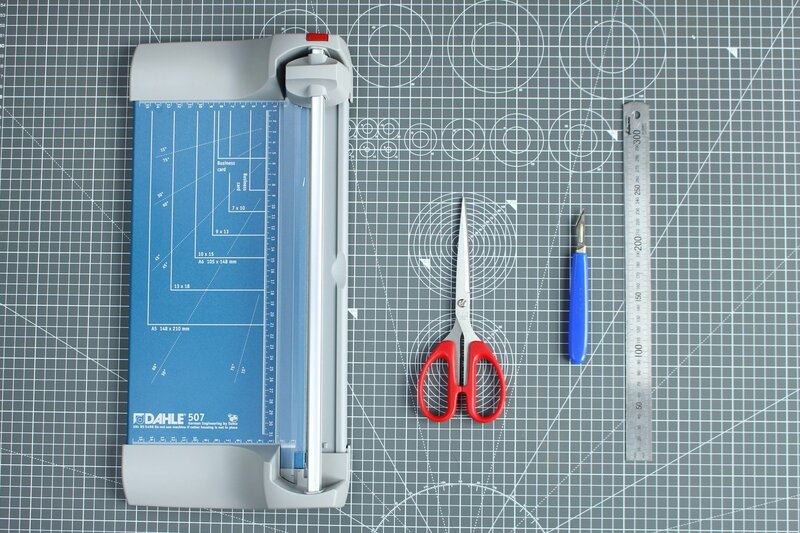 Before you steam ahead printing out all of your pattern pages, run that test sqaure page through your printer first and then check it against a ruler (not a tape measure…you did know that they can stretch didn’t you?). 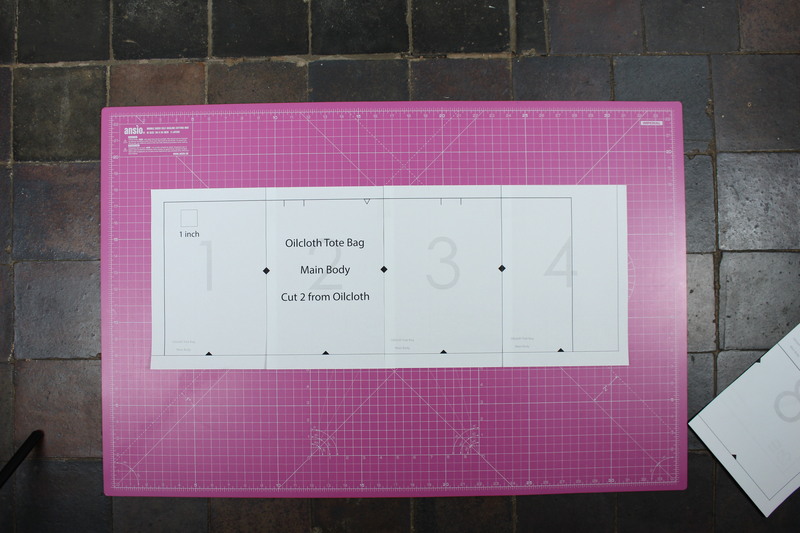 If your test square measures up, then you are good to go! In order to stick the pattern pages together there’s some trimming that needs to take place. Pair of scissors – the slowest option, but if that’s all you’ve got to hand then go for it! Option 4 is to fold under the excess paper. It’s a relatively quick/lazy option but adds a load of bulk that you can do without. The best advice I can give you is to be consistent with your trimming. By that I mean trim each page in the same way. I tend to trim the tops and the left hand edges of each page. Remember the test square I mentioned? That’s it there in the top left hand corner of page 1. You have two choices when it comes to sticking your pages together. You can get out the glue stick or roll out the tape. 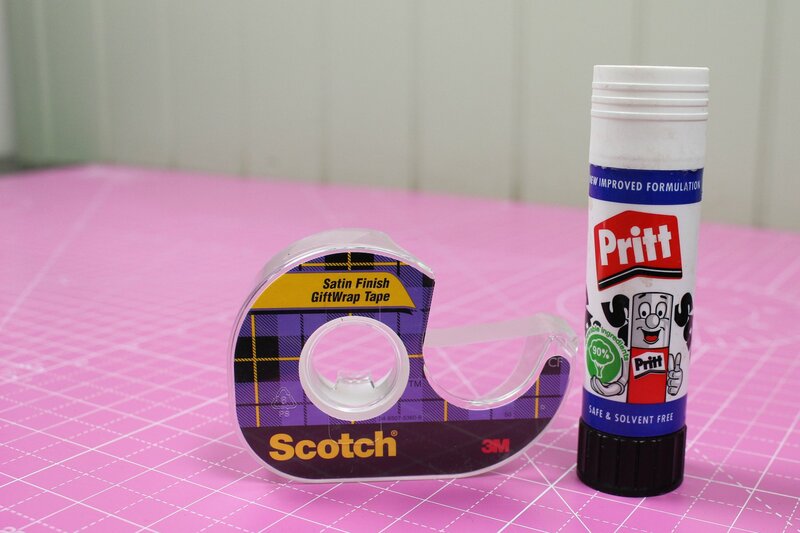 I love to use scotch tape, but to be honest normal sticky tape is a lot cheaper! As you can see I have page numbers in the background on each page. There are also little diamonds (but they may also be circles or any other shape). These diamonds help you align the pages together, match them up and you are good to go. The best way of assembling the pages is to stick together the top row…..
Continue in this manner until all of your pages are in place and your pattern matches the payout provided with the instructions. 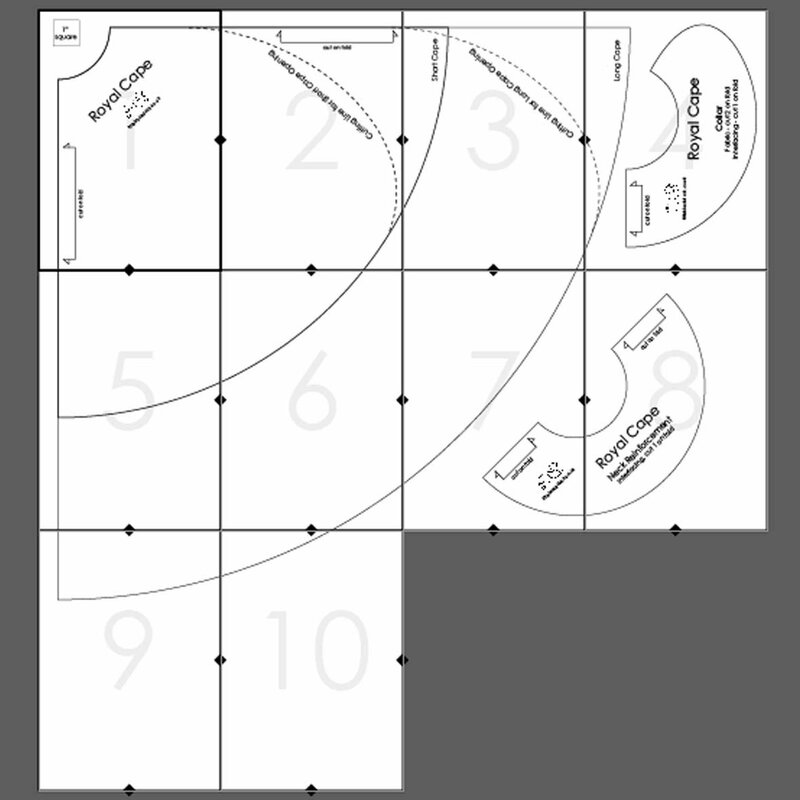 Once all of your pages are stuck together you can cut out your pattern pieces and you are good to go!